THE SUN FINALLY CAME OUT!!! It took all day but we finally had sunshine and made it out for recreation tonight. It's been an incredible week. It's late though after a lot of logistics planning for the next couple of days so I'm just going to provide a link to pictures and comment more tomorrow! As we go through tomorrow the weather should improve. I'm excited about some projects that we're going to get to do and of course being able to get out of the building for evening activity tomorrow night. And of course.... pictures from today! There's many traditions at SERVE and barring any crazy schedule changes during our week (like last week) one of those traditions is TACO TUESDAY. We're so thankful for our incredible cooks (Barb and Al Desilets) and their dedicated team of volunteers this week including Hopers Bob Huber and Bob Soulchin and Vermonters Tina Labeau, Bev Foster, and a variety of others that have popped in all week! 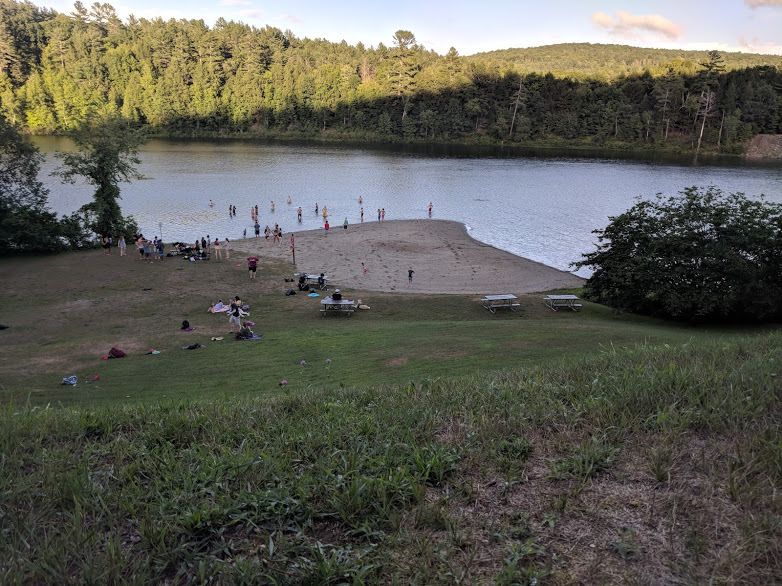 The sun finally graced us with it's presence today not only was a lot of work done but we got out for recreation tonight at an incredible park called Stoughton Pond. What I think you really want to know about though is where the students served today! Each day 8 different work crews leave Chester Baptist Church and head into the surrounding communities. Every year we have a theme for our team names which have included mountains, ski areas, Ben and Jerry's flavors, Crayola colors, VT State Parks, ski trail names, Peace Tea flavors and more. For our 10th Anniversary here in VT we picked team names based on the best of those categories. 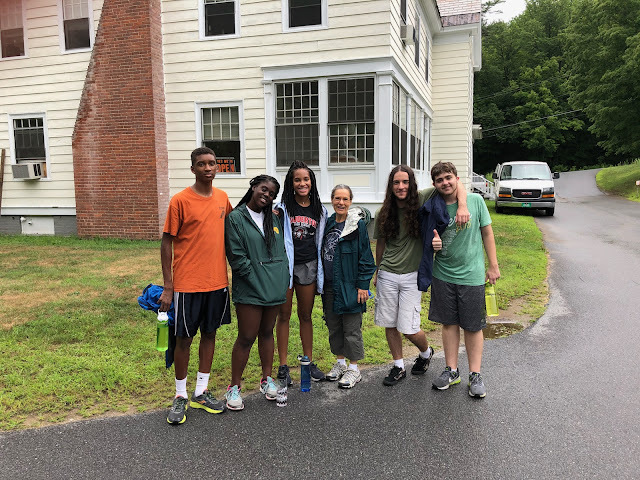 Starting their week at Whale of a Sale moving furniture and helping the Congregational Church of Londonderry and then hoping to do some painting at a local park if the weather holds off! 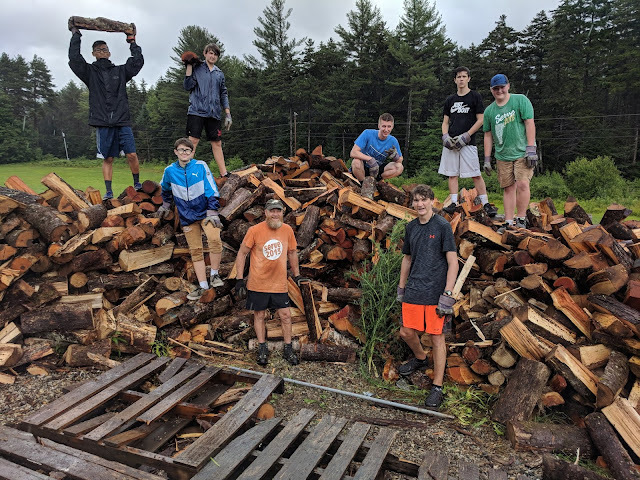 Starting their week off at Colonial House stacking wood and headed to do some tree work in Cavendish and some house repair in Chester later in the week. Working at the Colaborative this week painting in their building and weeding in the community garden. More work as the week goes on in Flood Brook School. 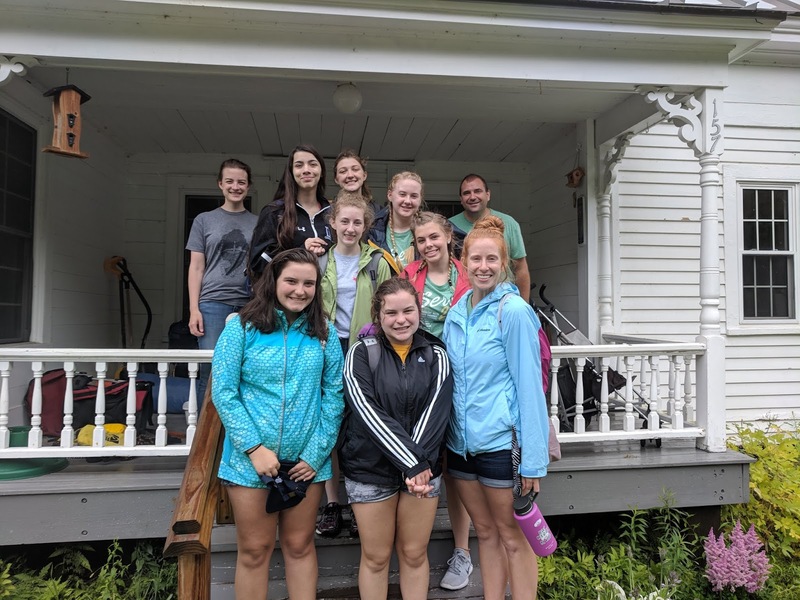 Started their week off helping Chris and Kathleen Blackey at the First Baptist Church in South Londonderry and then headed to Taylor Farm today to work on an apartment that needed some serious love after previous tenants recently left. Serving at the Calvary Baptist Church VBS in Springfield this week providing energy, skits, and dance moves to an already awesome program. In the afternoons they've got some time to prep for the next day but also got out into the community this week to do some work at the Springfield Parent Child Center. Working at the Springfield Family Center this week doing some cleaning, painting, and helping serve lunch. Serving in Cavendish this week on a wide variety of jobs. Pastor Abe at the Cavendish Baptist Church does an incredible job networking with his community and this team is in a lot of different places doing a lot of cool things this week. 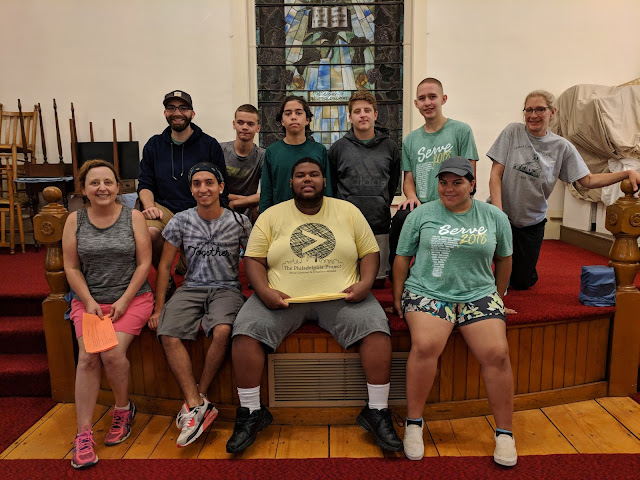 Working right here in Chester and Andover this week doing a variety of jobs including at Abundance Acres CSA, building benches, and helping the pastor of the Chester Congregational Church with a yard sale. Pictures will be up later tonight - thanks to the incredible Alexis Madonna for her work in getting all those amazing pictures up online all week long! The start to a high school week is always fast and furious. In the span of about 6 hours from the time they arrive 5PM to the time they go to bed on Sunday night 11PM it's a flurry of activities. 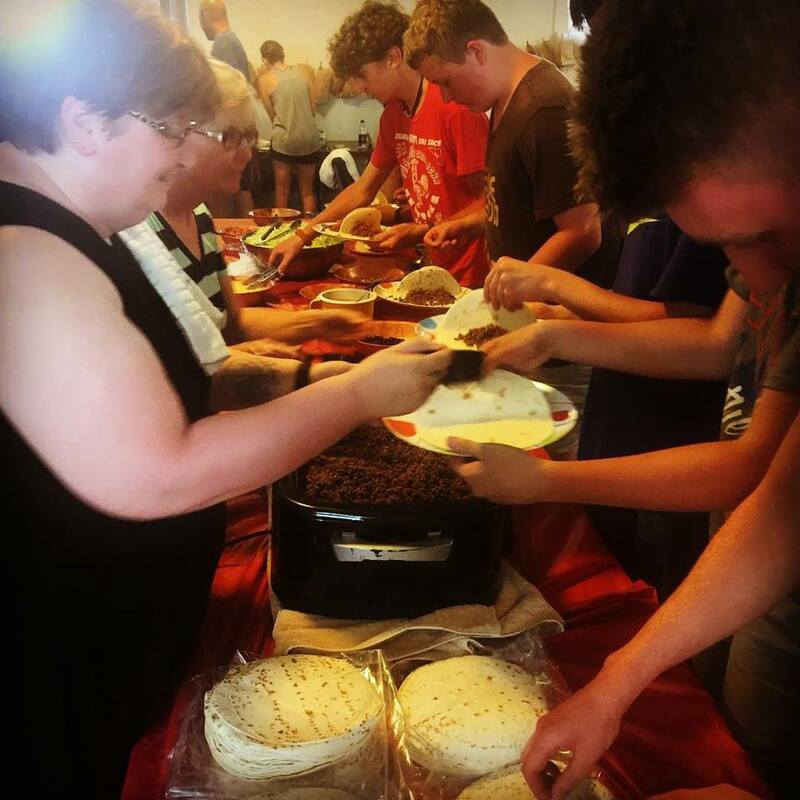 Happy Fun Bags are made, work crew orientations happen, dinner is served, worship happens, a message is given and small groups meet. It's a sprint but a worthy sprint as it gets us prepared and ready to get out into the community on Monday morning. After a good night of sleep and a hearty oatmeal breakfast this morning everyone was ready to go. The forecast was for rain and that held true all day long and a couple teams had to adjust their plans and be flexible accordingly. 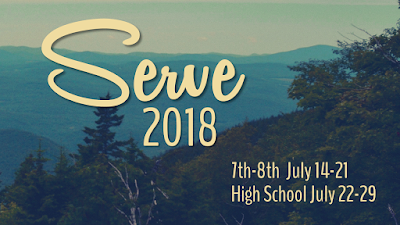 If you're new to the blog or new to SERVE (a little background for you) - our home base for the week is Chester, VT but we serve alongside four different American Baptist churches within a half hour from Chester including Chester Baptist, Calvary Baptist (Springfield), First Baptist Church of South Londonderry, and Cavendish Baptist. This week we have 8 teams serving every day doing a variety of projects all throughout these communities. Pictures from today will be posted a little bit later and we'll get you pictures and descriptions of the projects your students are working on tomorrow as well! Now that I've lost half of you (or more) I'll share a little bit about their day. Weather wise today was another perfect Vermont day. A crisp cool morning (50 degrees) turned into a gorgeously clear sunny day with a high of about 80. We're getting really good at our morning routine now - breakfast and making lunch for over 45 people this morning only took about 35 minutes and then groups were off and running. Kids Club Team cranked out Day 4 with a ton of energy. 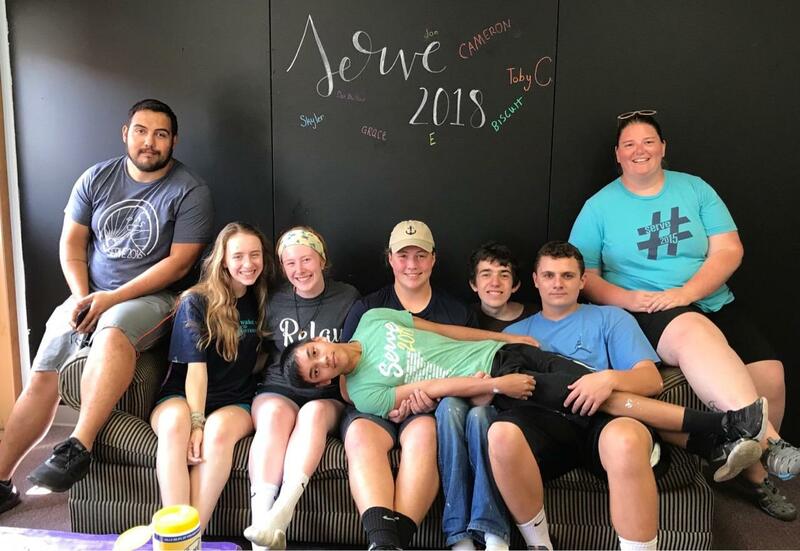 They've learned the kids names, are memorizing their skits, and doing an incredible job helping the people at First Baptist South Londonderry pull off an amazing event. 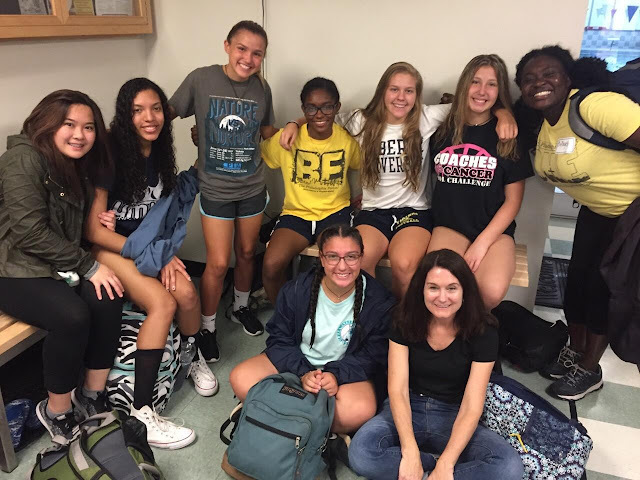 The Middle School Adventures Leaders worked with the local 4th-6th graders on a day of service of their own. They stacked wood in two locations, weeded some flower boxes in town, and delivered Ziti meals that they had made on Tuesday to people in need. They have one more morning of adventure tomorrow. The Wood/Farm Team was in Cavendish today doing a bunch of odd jobs including painting in the elementary school and weeding at the baseball field. They even got to play a little baseball after finishing up their jobs. 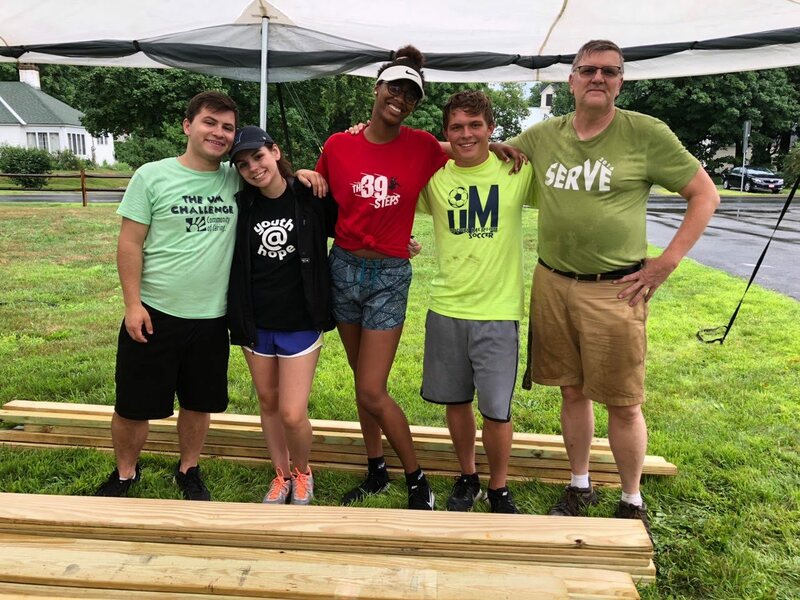 The Colaborative Team continued to work hard in the community garden and has done a great job with odd jobs there this week including painting and priming walls inside. The Parks Team continued their picnic table mastery and have just a couple tables left in order to finish all the tables in the park. In the one morning we have left we'll wrap up all of these projects before high school shows up next week. This afternoon we all went to Taylor Farm (a working dairy farm) and split up on mini projects all over the farm. It was awesome to see what a difference we made in just a couple hours. I'm thankful for our partnership with Taylor Farm and I'm excited that a high school team will be able to love on them even more next week. We took a short swim in the pond at Weston Recreation Center and then headed back to Chester for Shepherd's Pie and Ice Cream Sundaes. I won't share a ton about worship and our evening program tonight because I know high schoolers are anxiously awaiting any details they can get their hands on but know that our covenant night was incredible and very moving for all of our students. I can't wait until they can share the details and more with you at home!